my question is what are the advantages and disadvantages of slide with barrel bushing verses slide without bushing as in the springfield RO verses the TRP model? I'm just wondering what cone system you used Ron? The one Jerry described seemed not to be a cone but rather a straight section guided to location by the taper. I don't think there is a good or bad way to get the barrel in line and get accurate groups, what most important is what is best for the shooter shooting the gun. If it works then it's the best for that person! As to ease of fitting making a cone or the type Jerry described is not easy. 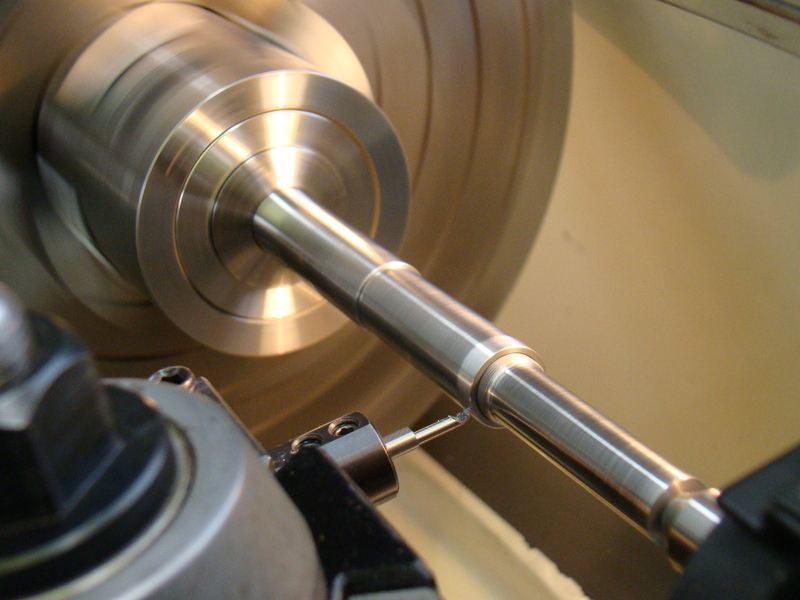 A good lathe and milling machine is needed. 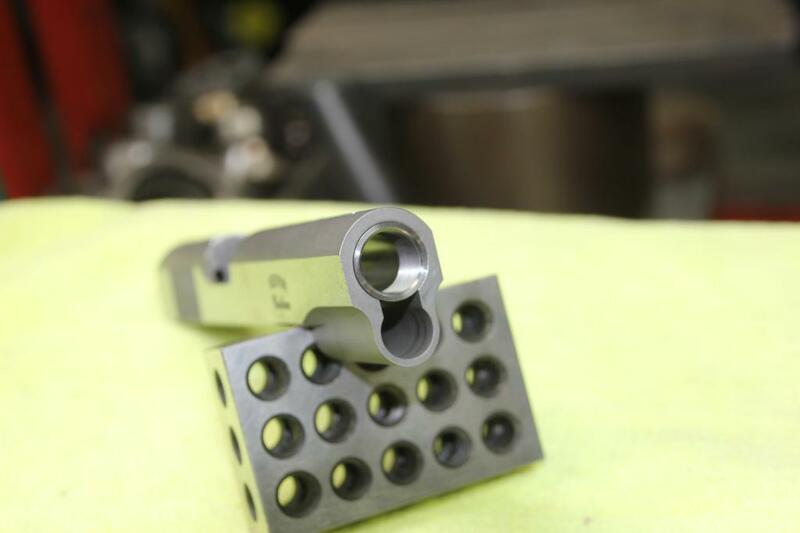 I know pre-made parts are available such as a slide for cone barrel, threaded barrels and cones that can be assembled without the need of machining but I have found that most of that stuff will require more that simply putting it together. Not to mention that the slide will have to be refitted, sights added, etc., etc. I like the bushing, to fit mine I get those that fit the slide tight. A good bushing wrench is required but I have several. Plus I have that Swiss Army type gadget that Caspian sells in my gun box that includes the bushing wrench. To fit my bushing to the barrel I press it on until it's past the larger end of the barrel. I then put some non embedding 1000 lapping compound water mixed on barrel and lap it to almost the location it will be when installed and slide closed. I then install the barrel and cycle the slide a few times, remove and clean off all compound, oil and test the fit. If more lapping is needed repeat the cycling of the slide with compound. Remember the compound will add to the dimensions so the proper fit needs to be checked with all compound removed. Yes it required frequent removal of the barrel bushing assembly so it can be washed clean (why I use water mixed compound). Don't press off the bushing, leave it on the barrel, only time it needs to be removed is when replacing it. That system can be done by the average guy to replace a loose bushing and not cost much. A good way to tighten the group of a stock off the shelf gun too. 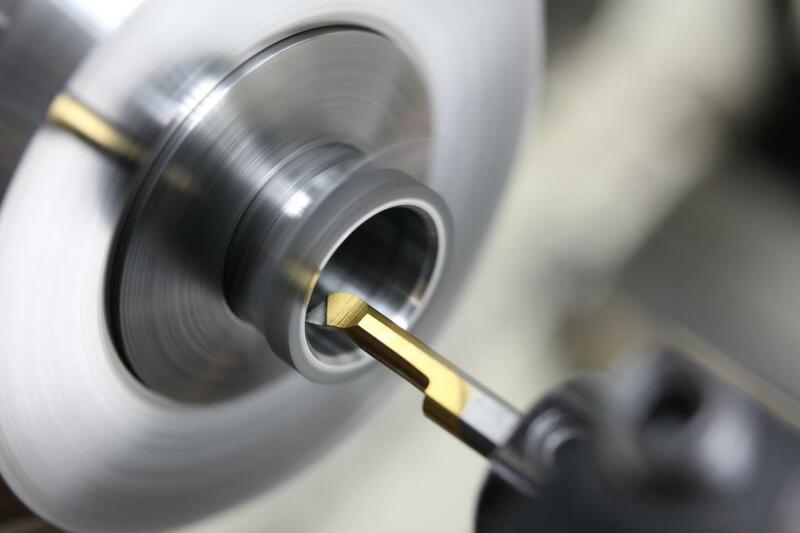 Though I have a complete precision machine shop and can do elaborate work I often replace a bushing as mentioned above and not spend a lot of time machining. Glad you like it.. Remember, not my idea.. Bob Marvel, Joe Chambers, and Chuck Warner influenced me to try it for reduced recoil...Chuck is the innovator of the radius sear system for the 1911. 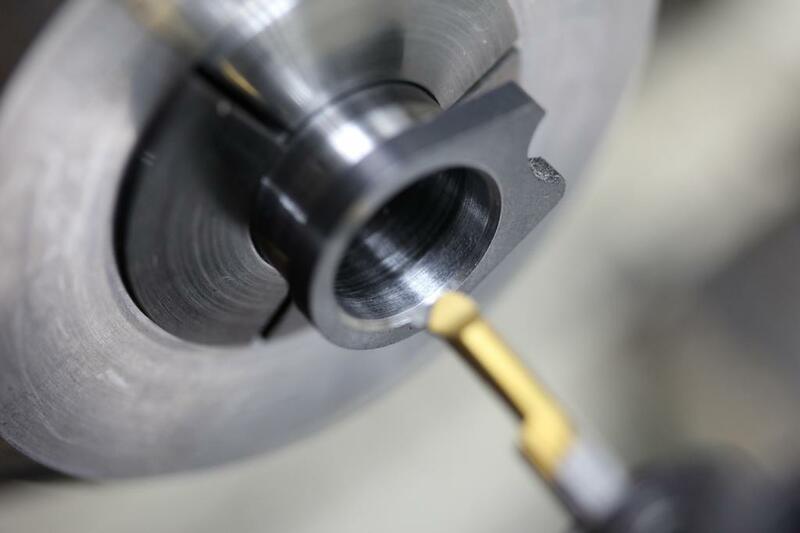 Over the years, I had progressed to a very accurate machining process to get the bushing to work at it's best, by calculating the lockup angle, and angle boring the contact surface. It worked very well. So I was reluctant to change.. But, I must admit.. the cone is the way to go.. The top two pics show the finished installation, the amount of thread contact, and the jo block contact between the frame and cone. The last pic shows the arbor I use to zero the cone and machine the straight section. The cone is adjusted in or out to get the proper amount of lock/unlock, and secured in place.. I like the eared spring plug, because that allows another machined surface for the cone to fit against.. It is a good idea. I can remember setting up a 1911 for one of the run and gun types with this type setup, but the cone was a compensator, and thinking that it was kind of cool, but the factory parts were not what I would have preferred to use for the way it was setup. The one thing that I will do on the next one is to make the cone heavier and less taper than what I used on this one, but I am nevertheless very happy. I have nearly .875 thread engagement, which is probably more than needed based on your photo, and I too used the eared plug, for some of the same reason, but mostly because it just looks right being closed up. A thing of beauty is a joy to behold (but it needs to shoot well too!). You cannot buy a score, but you can sure throw away good good scores being cheap. Very nice work Jerry, gunsmiths with your skills are very much in need in our sport, wish you were taking in work. Nice Job Jerry!!! Well done!! That being said it don't answer the OP's question of which is better. Naturally the bushing or the cone will not by themselves make the gun a tack driver and function without alibis. 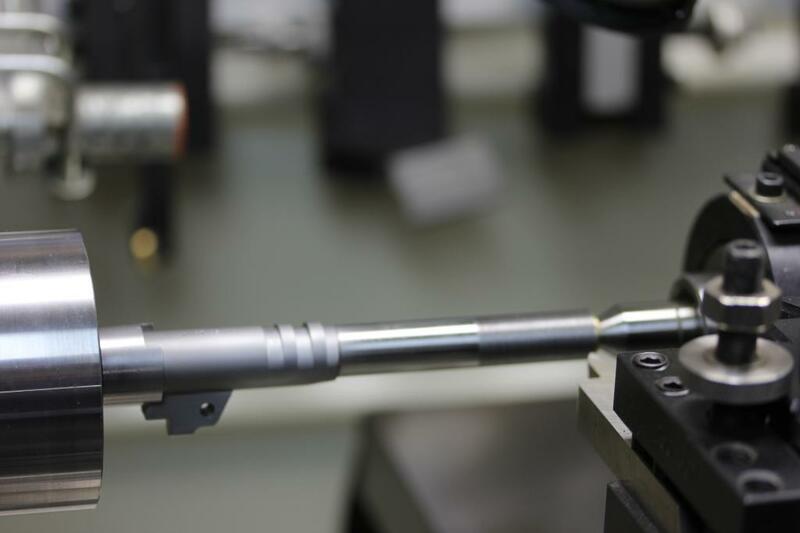 Other areas combined with the bushing/cone contribute to the accuracy. Simply put a chain is as strong as it's weakest link. Jerrys test target shows that all is done and a small group is the result, there is no implication intended on my end to state the gun will not shoot a good score. But will add that the Cone is not the only thing done that resulted in a great group! My point is that as a shooter though having the machinery necessary to make the modifications as done by Jerry I prefer the bushing. It's an easier way to get the barrel to return to the same position in the slide every time. The cost of doing a cone like Jerry's will probably exceed the price of the RO. Though I haven't seen or worked on the TRP I doubt that the attention to detail that Jerry has shown in the photos it the same as a production gun so don't expect the same results. As mentioned you can't buy a score but a good score can be thrown away by being cheap is true but depends on what your spending money on. An old GI surplus pistol refinished and gold plated may look good and cost a lot of money but will do nothing in competition. I'm sure most if not all National Pistol Records were done with bushing guns and the winners of the National matches at Camp Perry were all shot with Bushing Guns (except maybe one or two special awards) therefore using a bushing is not a handicap. Furthermore taking a gun to someone that does not know what they are doing nor pay attentional to detail like Jerry will result the same as Gold Plating did for the GI gun. That threaded section of the cone/barrel attachment will have to be a Class 3 fit, I doubt if most smiths know what Class 3 is and more likely do a sloppy Class 1. So getting back to the topic I would choose the RO! Which is better, IMO none are... If a system produces a 2'' group or better consistently then its as good as another system that does the same thing, the only real question might be which has more longevity. In that fact id say the cone would outlast a bushing but the cost to renew would be much less with a bushing. So it boils down to many roads lead to the same destination it doesn't really matter which one you follow as long as you get there. 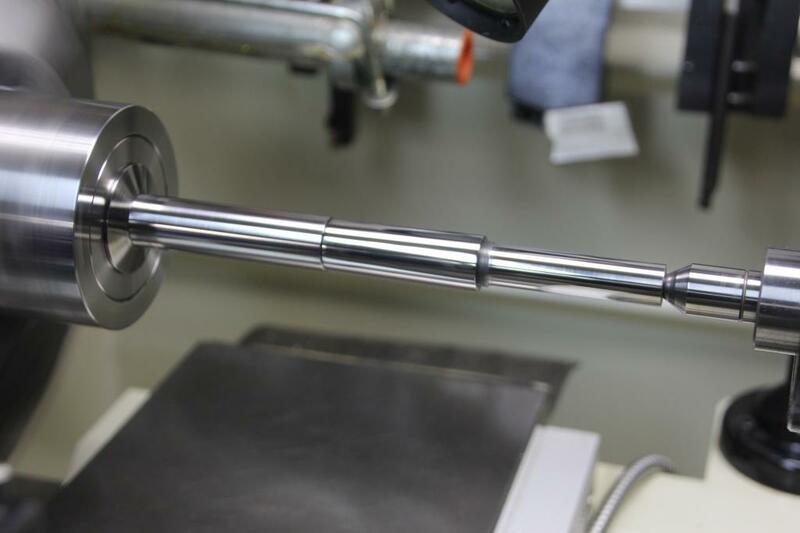 When fitting bushings, I feel that it is important to maintain C/L alignments as close as humanly possible, so the barrel is not stressed by binding. Here I am truing the OD first. Then take a light truing cut on the ID, plus I back bore the bushing to allow for a .100 land for the muzzle.. 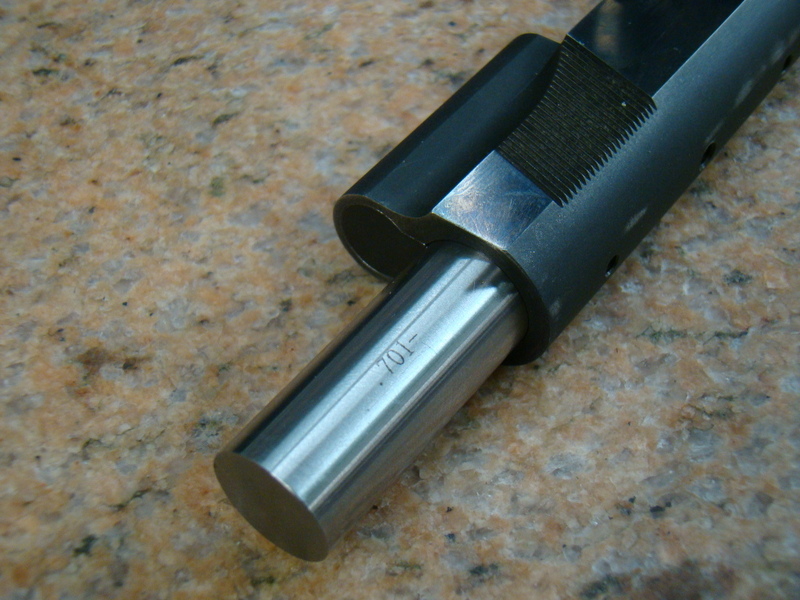 Here the back bore and .100 bearing surface can be seen. 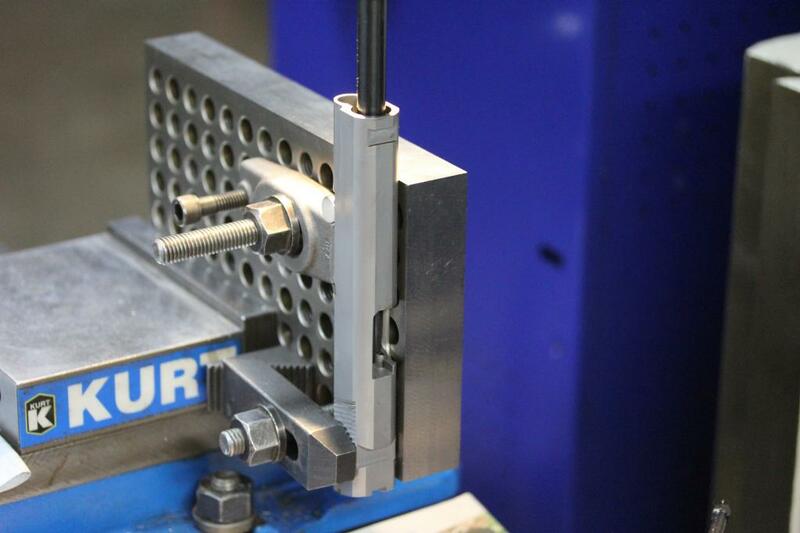 The bushing is then set up in a holding fixture on a sine plate and indicated. 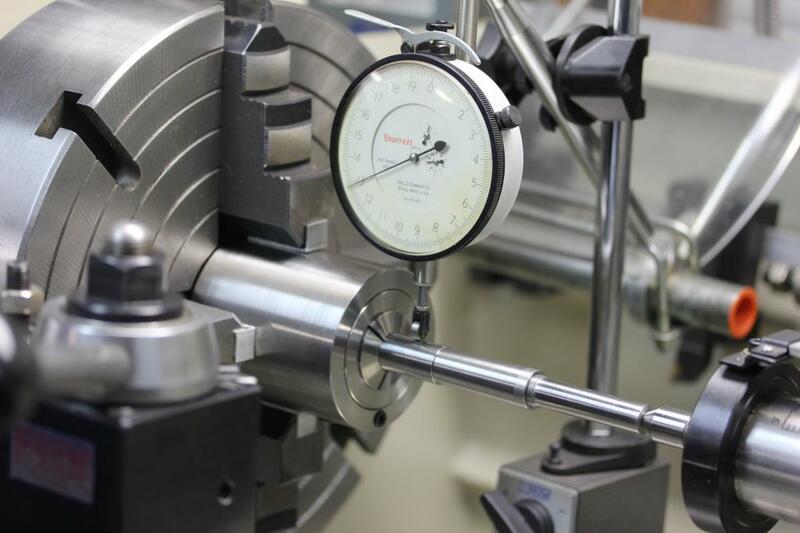 The lock up angle has been determined and transferred to the bushing, by boring bar. No two guns lock up at the exact same angle..The 52' spec. 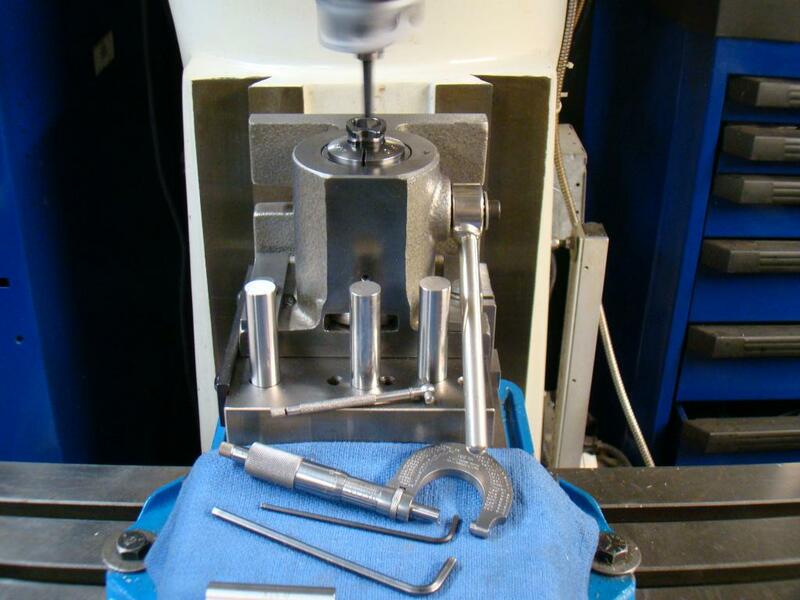 is an approximation.. A boring head is a super accurate method of boring and tolerance can be held to within tenths of a thousandth...so, can a bushing produce super accuracy.?? Of course.. It's been done for years.. But the cone accomplishes it better and easier. It eliminates one bearing surface, and the lug. The cone can be fit so tight, one would swear it will not function, but it does. I agree Dave, Neither one is better than the other, they are basically the same. However I don't see any proof that the cone will outlast a bushing. That gun I built for Adam had a bushing. I know he shot it for at least 3 years. Been so long ago I can't remember when I did make it for him. 2 of those years before he went to the AMU he shot every day and we shot every match we could get to and if I had to work, Adam would go with a friend of mine. When he was in the AMU he requested I send him the gun as I have mentioned else where. When tested by the AMU Armorer it shot 50 of 50 rounds fired in the X ring. Not bad for a gun that has been shot quite a bit before the test. Furthermore I know that the AMU guns will shoot the entire season with bushings and they shoot a lot of ammo being they shoot every day. So the Bushing has a good history. That said I would choose bushing for my gun until there is a better history with the cone. I know a few that had them installed but changed back to bushing. Adam had his Infinity modified to bushing. I know there are quite a few different designs so until one is proven I'll stick with the bushing. 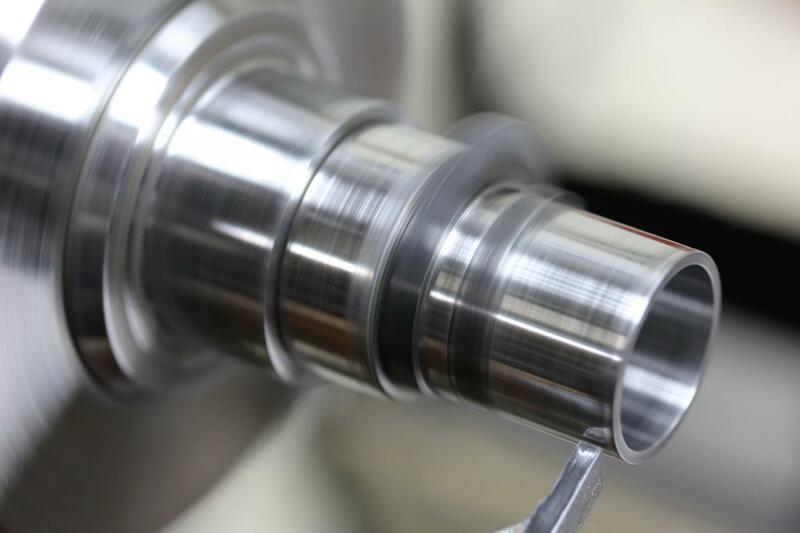 Another thing to remember is that a bushing can be made with a top grade alloy to lessen wear, it can be heat treated to reduce wear but the cone depends on what ever material the slide is made from. As Jerry has shown the bushing too can be made to give good results, I am currently making a 1911 and fitting the bushing as Jerry posted. However without the machinery needed a bushing and be fitted to give good results as I posted earlier. A few other things I'm doing too, had Caspian send me a few frames to make into trigger test jigs so I can work on a better triggers. Got side tracked with my AW but hope to get back to the 1911 soon. Yet the Best gun is the one what ever it is the shooter can shoot a great score with. The name of an AMU shooter is on the tip of my tongue but I can get it to my fingers. It's said he could shoot a better score than the gun in the rest could group! Great pics and info jerry, thank you for sharing. If you are so inclined, I'd love to see more pictures and maybe read a little about how you do the cone barrel guns. I may try one for my next project. Sorry! I spent 6 years with USAR All-Reserve Pistol Team and 2 years at the AMU. I've never known a High Master to out shoot or outscore his Ransom groups! That's pure BS. All the top level competitors I have known would never accept a pistol that didn't shoot extremely well from a rest. And yes we all know the Ransom rest isn't the end of all ends, but in a respectable testers hands it will shoot sub 1.5" groups with no effort at all from a good pistol. I've shot 100-8x at 50 yards with my Marvel longslide and am damn proud of the target, but it's no where as tight as the Ransom rest groups. I've also shot with some really cocky 2650 and 2670 shooters and not a single one of them would ever say that they could out shoot their pistol. Come on! Im sure if frank can remember his name the story may be the gun he was referring too was not a great shooter because IMO Its obvious even if a shooter could do this (and one could arguably with a 3'' or 4'' gun) he couldn't do it with a 1.5'' gun or hasn't ever done it consistently or we all would know his name cause he would be the best shot ever. Well all I know is the story that has been going around at Camp Perry for years. I know no current AMU shooter that is supposed to do it especially with the tack drivers they currently shoot. If my memory is correct the story is about Bonny Harmon (the name I could not remember) With the guns the AMU is now shooting if it were possible to beat the rest then a perfect score would have been shot! The story goes that someone was to have challenged a score Harmon shot. The gun was tested and could not shoot the score Harmon shot. So Harmon was given a chance to shoot again and either beat his previous score or shot the same. Harmon was shooting long before my time so all I got was the story told a Perry quite a few times! I did meet Harmon, was quite a character and I enjoyed when he was allowed to teach part of the class given by the DCM at Perry. I don't know if the story is true but it's possible! Being that the barrel is completely housed in the slide and the only contact with the frame is thru the slide stop. The irons sights used back then were also attached to the slide so shooting in a rest with a loose slide could in fact shoot a larger group than if the sights were used to align the slide with the target. I heard a similar story about B.Zins after he won camp perry a few years back, he had the gun he won with ransome tested and it would not shoot under 4''. DavidR wrote: cause he would be the best shot ever. This started in a "Gun Rag" some years ago..about out shooting the RR by hand.. Yea, right... fiction and myth...sells magazines..
OK, Henry, I'll dig some up.. But as I said a gun can shoot bad in a ransome rest yet good when the sights are used. I've seen it. The ransome rest is not the best and the attachments used are also not the best so it's possible that the gun moved in the rest! The AMU has a rest that was possibly used for rifle. It's huge and built like a battleship! They also use the ransome rest but machine special attachment devices not those rubber clamps. But it's for quick tests. When it's attached to the ransome rest with those machined attachment devices the gun will not move. Years ago the popular way of accurizing the 1911 was to peen the rails and squeeze the slide. In a short time they were loose again! Yet if a good bushing and hood fit locked the barrel in the slide the use of the sights could cause the gun to shoot better than when clamped by the frame. 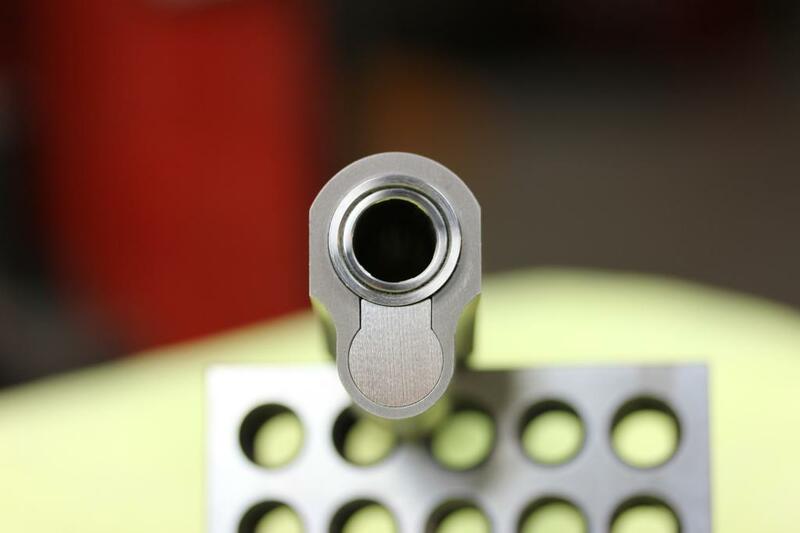 Another popular way to accurize the 1911 was to put setscrews in the slide that went into the upper lug groove getting a good barrel/slide fit! Further more if a sloppy rest test was done then a shooter could seemingly shoot better! Though if a good gun were properly tested and beaten by a shooter, the shooter should be checked for batteries. However what everyone seems to be missing is that it wasn't the shooter that shot so well that he was able to shoot better than the gun was capable of with the use of the sights but rather the shooter was able to shoot better than the gun when clamped in a rest that depended on the frame being able to keep the barrel aligned with the target. I'm sure that if after each shot in the rest that the rest was adjusted so that the sights again aligned with the target it would be impossible for the shooter to shoot a better score. In each case weather Harmon or Zinns the gun didn't do well in the rest but did well in the hands of a good shooter. I have heard of this being done by others but always the gun did not shoot good in the rest! That does not indicate to me that the shooter was so good as to be perfect but that the test using the rest was not accurate. Had it been that the gun tested with a 1" group in the rest yet a shooter was able to do better I would consider it a made-up tale and not true! Not much since debating What If's, lets just debate facts and things that help bullseye shooters. Well thought these stories do get off the topic a bit there is a lesson to learn. Too many rely on test results from the ransome rest. I have friends that purchased 1911's that came with a test target but they could not duplicate the results. When the maker was contacted and the exact same load was used the group was never as small as the one they received. Everyone likes to post a 10 shot good group but how many 30 shot groups are shown? In a 900 match 30 shots are shot at 50 yards. A little while ago a smith seeking endorsement by one of the top AMU shooter was sent a gun with a test target. It too would not shoot a group as indicated by the test target. Even when the exact same load was used and supplied by the maker it would not group the same. Adam said any gun will shoot a great group one time. A great gun will shoot a good group all the time! Therefore shooters should understand that they should not rely on a single group to determine the accuracy of the gun but rather an average of many groups. Furthermore that the ransome rest is not the best test for a 1911 since the barrel is not attached to the frame. Question since many of us are on a budget what is the longevity of the CONE versus Bushing? Seems to me over time the Cone will wear on the slide and then what? Where as a bushing can last 10,000 to 30,000 rounds easy and then can be replaced. If you are shooting lead the barrel is still good. That's my point. 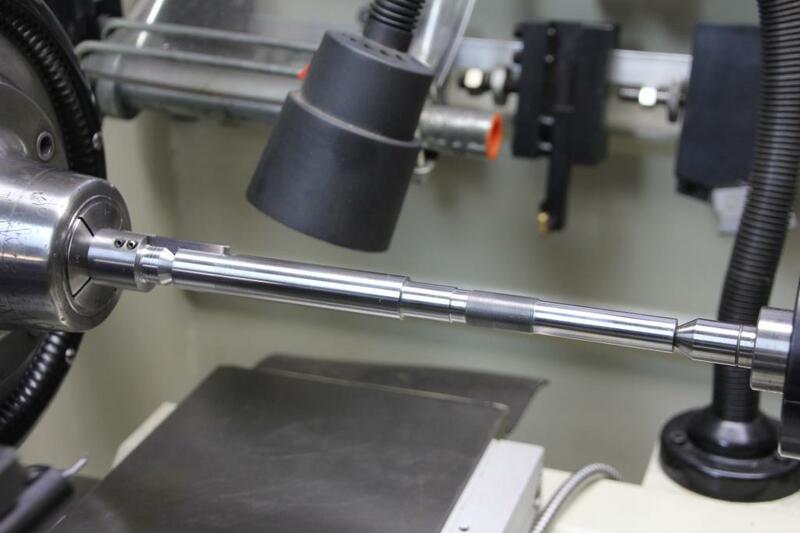 A bushing can be replaced without the need for precision machine shop machinery. I have it because I do machine shop work and make money making parts for companies willing to pay me $100/hour to do it. I work on my guns between jobs. Being a shooter I have looked at the 1911 with a different eye than most do, I have the complete set of drawings on my AutoCad system. When making a shoe I draw it on AutoCad first. Also anything else I do on the 1911. But for the Average guy taking the gun to a smith all the time gets expensive in a sport that the award money is very low. That is how I got into doing it myself, it just got to be too expensive to have someone do it so I learned to do what was needed. In a sport that most of the top contenders are using bushings why would a new shooter spend large amounts for something different? My comment on the Ransom Rest is that is is a very, very good device for what it costs. It is not perfect and must be operated with great care. I've shot a bunch of rounds off a Ransom and through different types of pistols and revolvers and can tell you that there is an art to getting the most out of a gun in a Ransom. When operated correctly, its a reliable test device. Here are a few.. A little out of sequence, but you can see the process..As for the implied issue of wear.. I have not seen it.. If one thinks about it.. 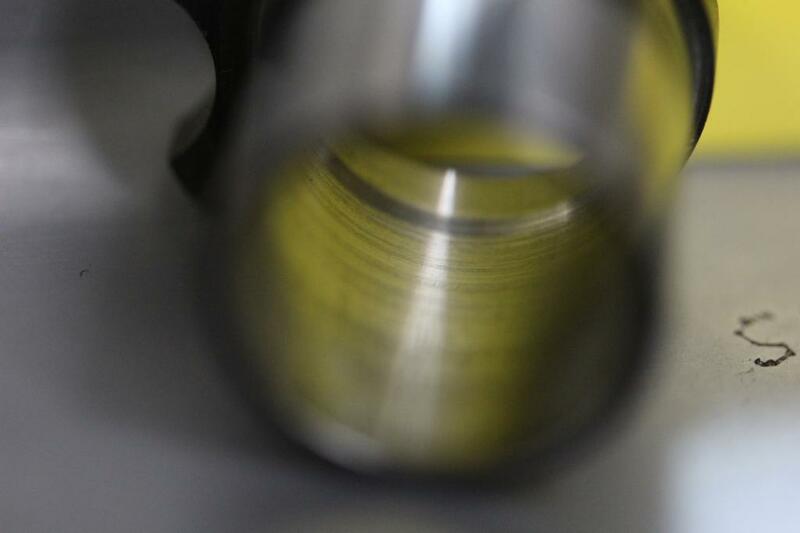 The actual surface speed and pressure in the muzzle area is quite small, and the OD / ID of the mating surface is much lager than the .580 barrel to bushing contact area.. Therefore it will with stand more. . I am an advocate of a very well lubed muzzle area, along with all friction and contact surfaces. I initially went to the cone for recoil reduction..and was very pleased with the additional advantages of improve function and accuracy..Joe Chambers just recently put up a RR target of .940 with a cone..I'll never use another bushing..That's how much I am impressed with cones. Picture of the initial arbor being turned. The arbor is being set up to true and turn the cone. The slide has been lapped to a uniform size. Some slides are poorly machined, others are near perfect. Here is a slide set up and being lapped. HenryA wrote: My comment on the Ransom Rest is that is is a very, very good device for what it costs. It is not perfect and must be operated with great care. I've shot a bunch of rounds off a Ransom and through different types of pistols and revolvers and can tell you that there is an art to getting the most out of a gun in a Ransom. 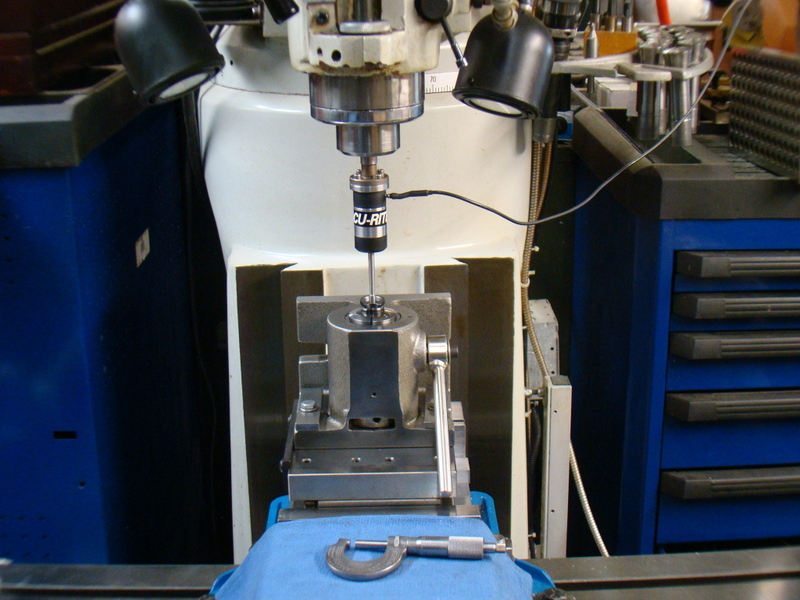 When operated correctly, its a reliable test device. A story and lesson that I learned. A customer , and passed National Champion, that I worked for, was patiently awaiting a back up gun for Perry.. I was not happy with the initial RR test target and was about to begin a rebarrel. He said not to worry and send the gun anyway.. A week later the phone rings.. and he asks," How my test platform is set up"? Because out of his RR, the gun put 20 shots well inside a 2inch circle. I spent a week welding in more heavy I beams and pouring another yard concrete for the base, and completely reworked the RR itself..I used laminated 3/4 plywood glued to together, and re enforced with 1/4 X 2 X 2 angle .. No wood screws. All bolts.. No more problems.. The RR itself can be improved..